When everybody has made a move, all player reveals the cards and effect are applied on the shared mischief stair. Then check who’s get caught! • Sneaky: Increase the Hooman owner awareness and anger but change the tide of a turn! The game ends when a cat was very bad and grounded 20 times or when the deck is empty. The lesser grounded cat win the game! 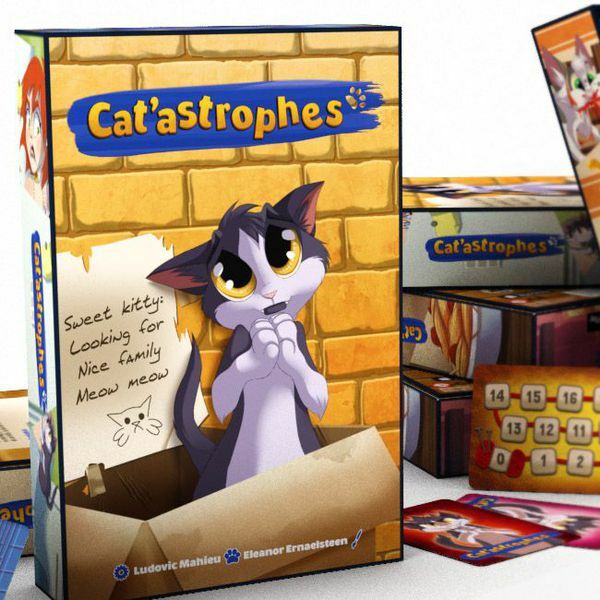 Cat’astrophes is a family card game for 2 to 6 players. Recommended starting age is 7+. Play session last about 15 minutes on average. Both core board gamers and casual one can enjoy the game due to the guessing mechanic and the possibility to use strategies!